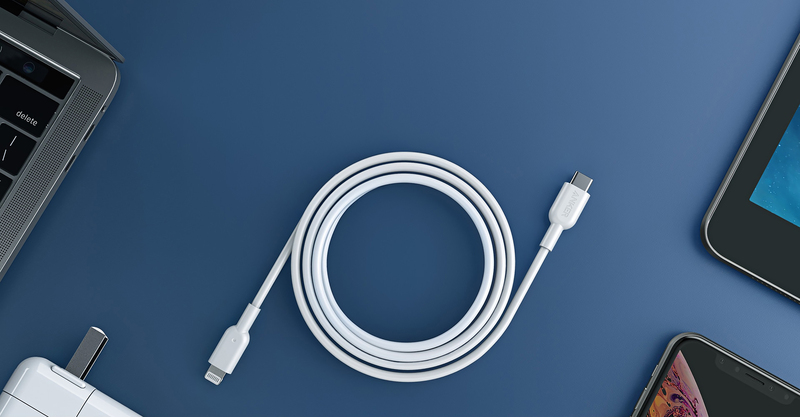 Continuing our commitment to innovation in the age of USB-C, we are proud to release PowerLine II USB-C to Lightning. 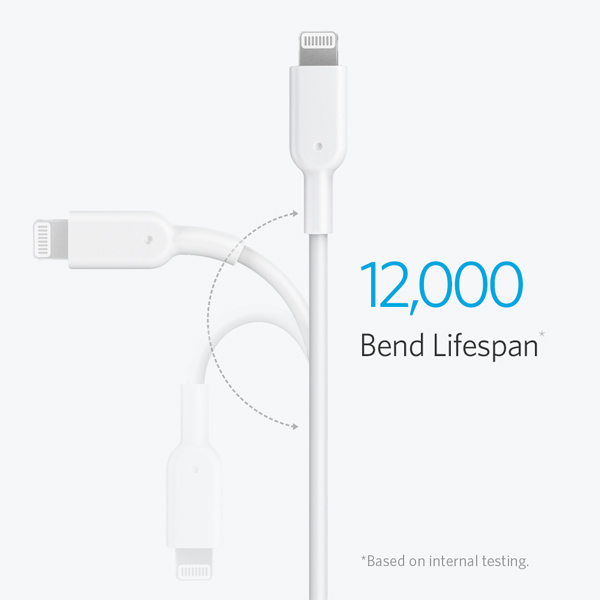 Featuring the same remarkable durability and lifetime warranty that made PowerLine II one of the most powerful charging cables in the world. 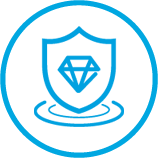 Official MFi certification ensures flawless operation with any devices that use a Lightning connector. We’re so confident in PowerLine II’s performance and durability, we’ve given it a lifetime warranty. This may just be the last cable you’ll ever need to buy. Access charging speeds for iPhone much faster than a stock charger, while using a USB-C Power Delivery wall adapter (sold separately). 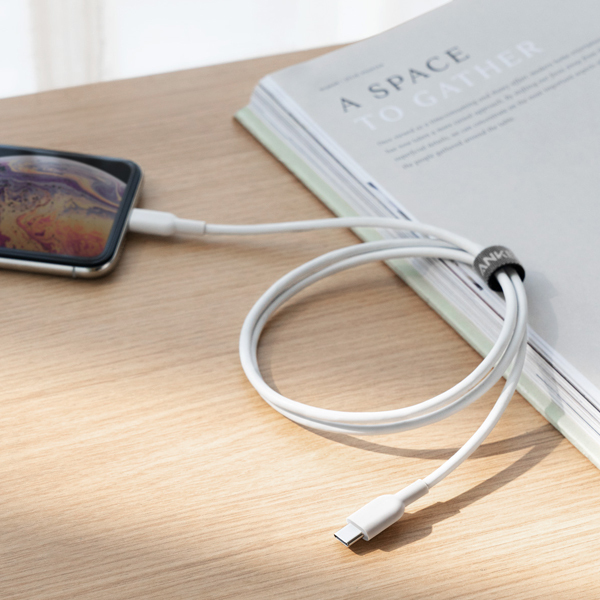 The delicate internal wiring is shielded by a thermoplastic elastomer (TPE) coating, enabling a much longer lifespan than ordinary charging cables. 1. 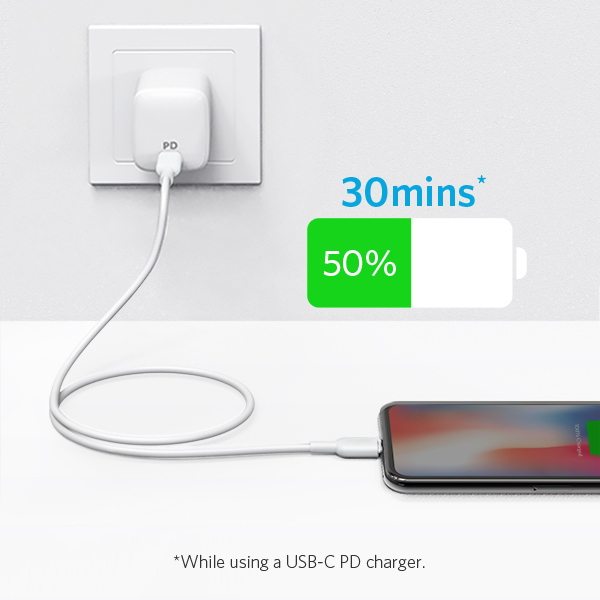 Anker’s internal testing confirms PowerLine II is 12× more durable than other cables, and charges iPhone X up to 50% in 30 minutes while using a USB-C Power Delivery charger.